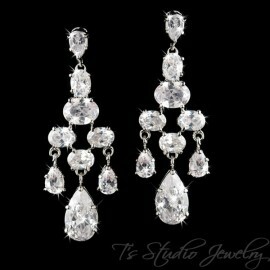 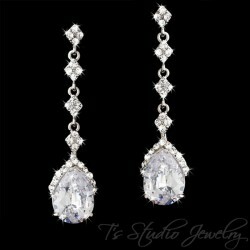 A gorgeous clear cubic zirconia pear cut stone dangles from a series of smaller clear crystal stones, set in a silver tone base. 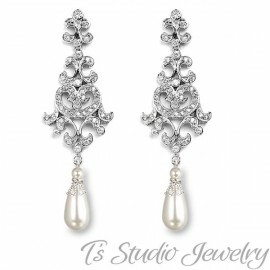 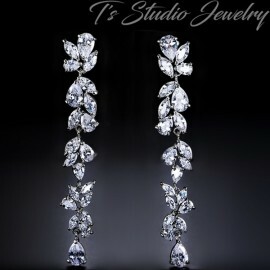 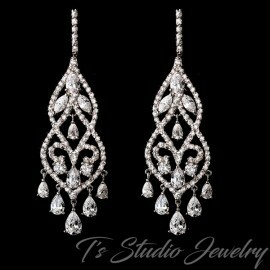 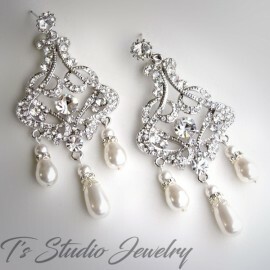 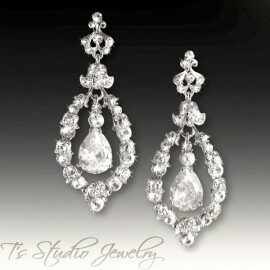 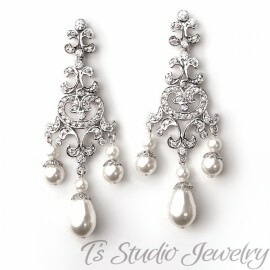 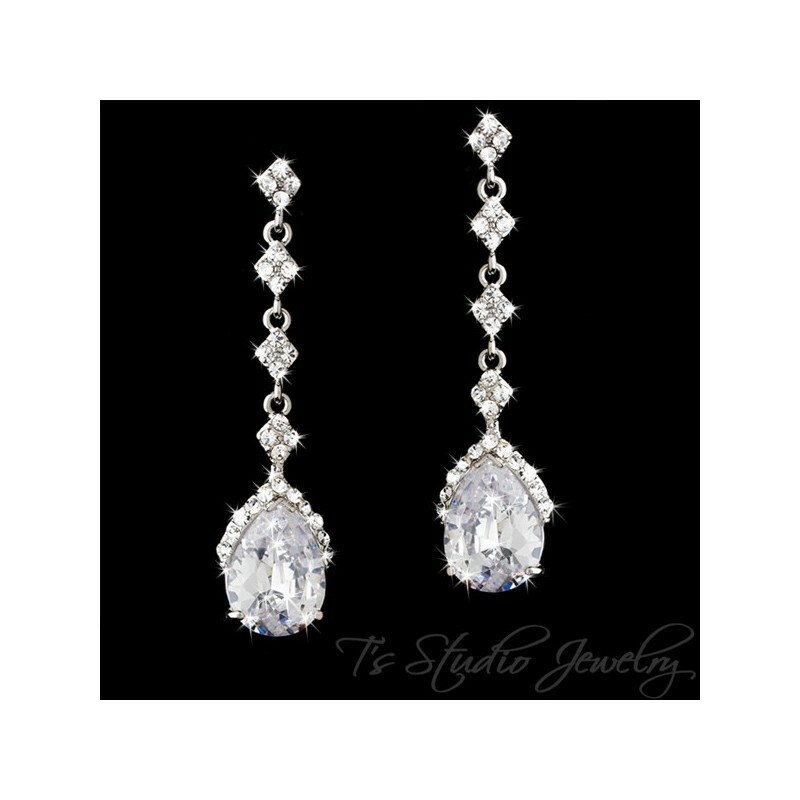 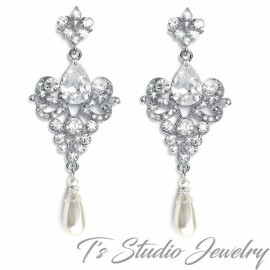 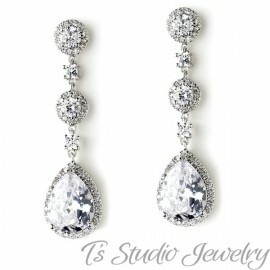 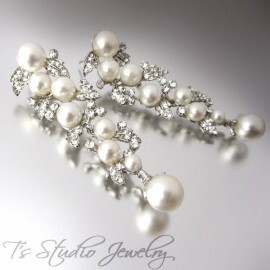 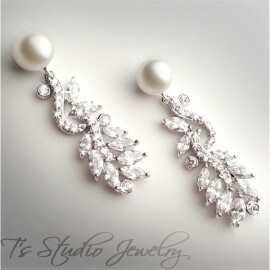 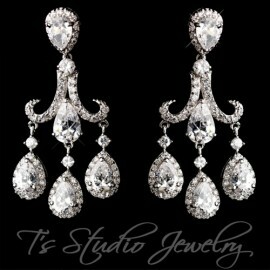 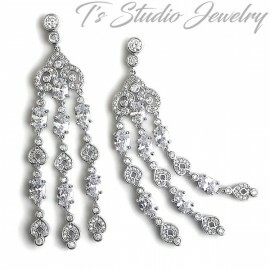 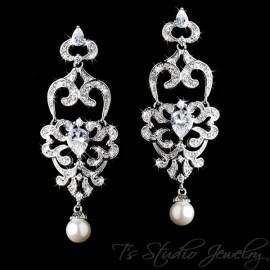 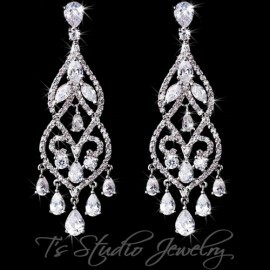 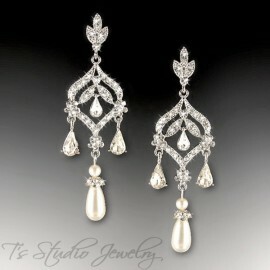 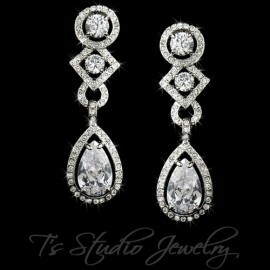 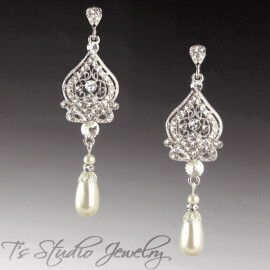 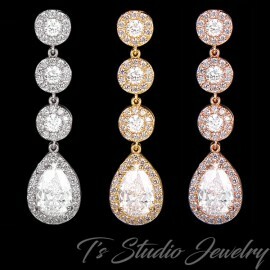 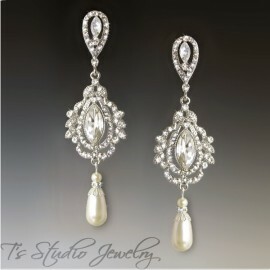 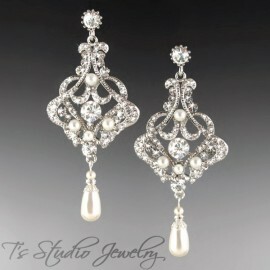 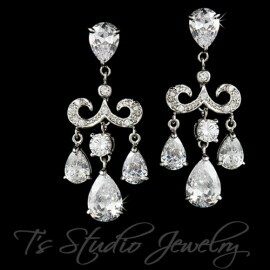 So elegant and classic, perfect for any wedding gown. 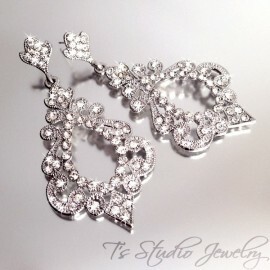 Earrings measure 2 1/2" long.